How are you all doing today? I can't believe it's the end of July already! It's been nice to have a small break from the heat! I did get to spend the weekend working on my longarm...but I forgot to take a picture of what I was working on, so, next week I will send a picture! Mom is back from vacation but now I think she needs a stay-cation to catch up from all the fun they had! Also, NEW in Hi De Ho by Moda! This fun fresh line will be darling made up into a fun quilt. We do have jelly rolls to match too! You all know we LOVE Villa Rosa Designs! Well the newest one we have fallen in love with is the pattern Honor. 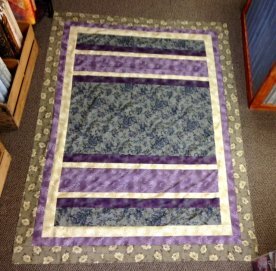 Using two focal fabrics, you create a beautiful quilt. We chose to use Serenity. Kits and patterns are available! For the next few Fridays, we are going to be introducing our employees to you! So this week let's get to know Cindy aka "Kit Queen". 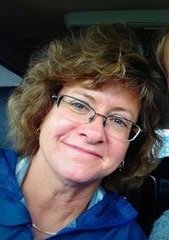 Cindy is one of our daily ladies. You can find her here on Tuesdays & Wednesdays. 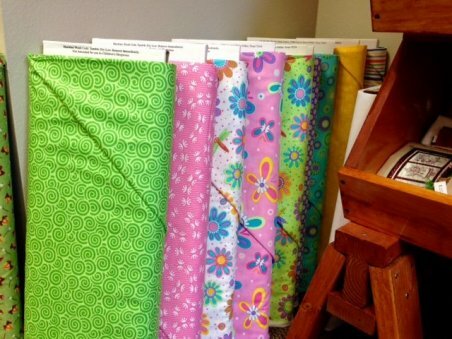 How long have you been quilting? 20 years - I first learned to quilt by hand piecing & quilting. Favorite thing about quilting: Sense of accomplishment. I also love to learn new techniques & do handwork. Favorite notion: Valdani thread - it's great! 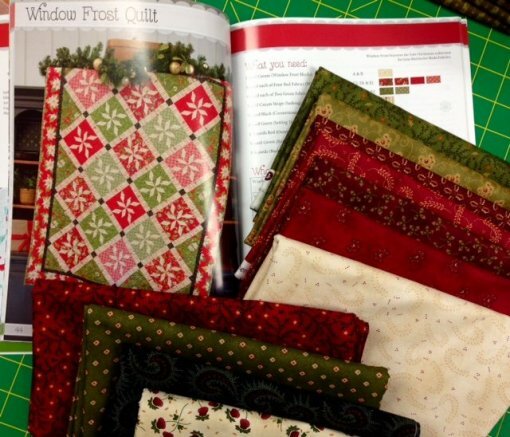 Favorite quilting quote: "Don't let my husband sell my kits for what I told him they cost when I die!" Favorite quilting project: Anything wool applique. More Row by Row ladies came in today! You can join in the fun from now until September 8th! Row patterns can be picked up at any participating shop for free and kits will be available for purchase. Check out participating shops at www.rowbyrowexperience.com ! Have a license plate but don't know what to do with it? 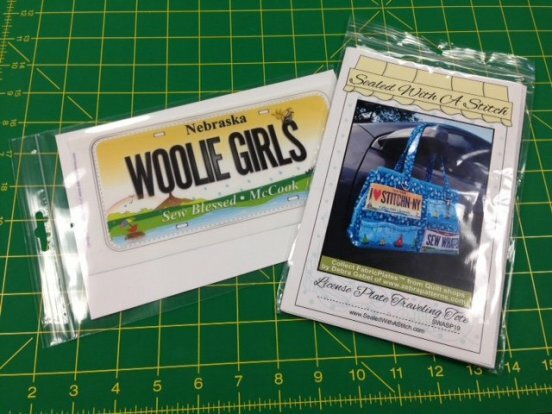 Check out this Sealed With A Stitch pattern - License Plate Traveling Tote! And we have NEW wool and wool kits out! Stop in and check them out! This weekend I hope to get all the doors back on my kitchen cabinets! Painting them has been a long process but I am loving the results! Have a wonderful weekend!